Home › Zourman hi-hat conversion kit › BLACK FRIDAY SALE! 15% OFF EVERYTHING! 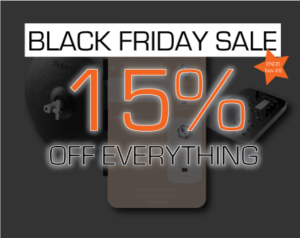 For a limited time, we’re offering 15% OFF EVERYTHING in our webshop for the Zourman Drums Roland to 2box conversion modules. Act fast. The code expires Tuesday, November 28, 2017. ‹ More Zourman Drums shipments!